Daniel Negreanu is never one to mince his words when it comes to controversial matters and earlier this week he turned his attention towards Sheldon Adelson. With rumours now rife that the Restoration of America's Wire Act (RAWA) bill will be heard in March (the bill is anti-online poker and supported by Adelson), Negreanu decided to speak up about the state of US politics. Despite remaining quiet on the issue of RAWA for some time, Negreanu decided to call into question the morals of politicians that can seemingly be bought and sold on issues when money is involved. Of course, with Negreanu being an online poker player it's only natural he'd want to rise up against those that are actively trying to ban the game in the US, but his recent tweets show he's becoming frustrated with positive airtime RAWA is receiving. If you are a politician, and take money from Sheldon Adelson, when did it all go wrong for you? When did integrity no longer matter? Negreanu's post sparked a wave of debate online and he added more fuel to the fire when with a follow-up tweet confirming his stance on the issue of Adelson and politics. How can any politician who takes money from Adelson in large quantities ever be taken seriously? How does sleep happen for them ever? Chris Grove of OPR was keen to point out the his employer, PokerStars, had engaged in something similar when it tried to curry favour with US officials in order to receive an online gaming licence in the country. For many, however, including Negreanu, the issue of RAWA is more significant as it's essentially one man's campaign that would affect an entire country's ability to play online poker. 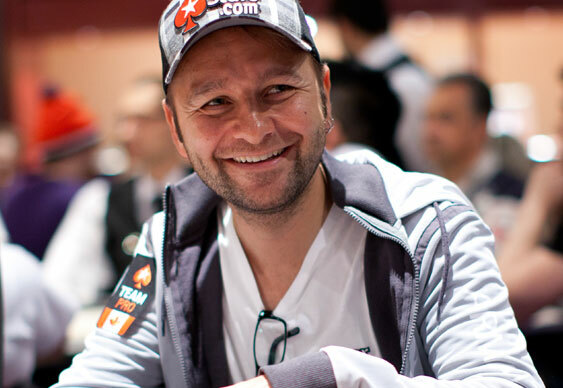 Regardless of whether people agree with Negreanu or not, he's a major figure both inside and outside of the poker community and that could certainly help raise the issue on a wider scale and sway more people to back the industry.